Stopped by the local flea market this afternoon to sell our old lawnmower. Ended up spotting a civilian canteen from a distance, and what looked like some East German field gear. I'm not an EG collector, so I initially walked past, but later decided to take a second look. 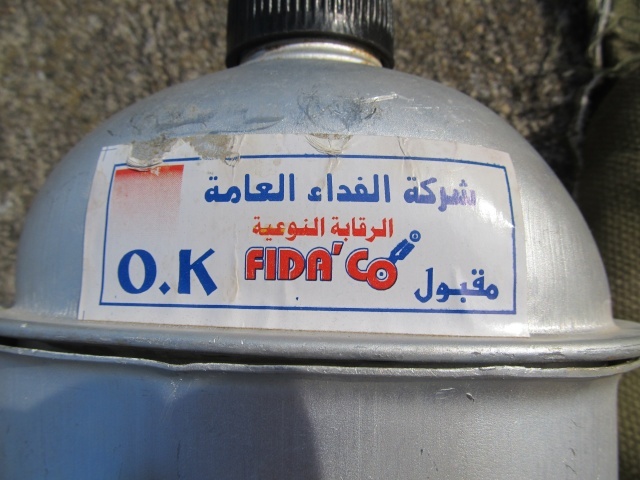 Upon closer inspection, the bag appeared to be marked with Arabic writing, and the canteen was also...well...special. 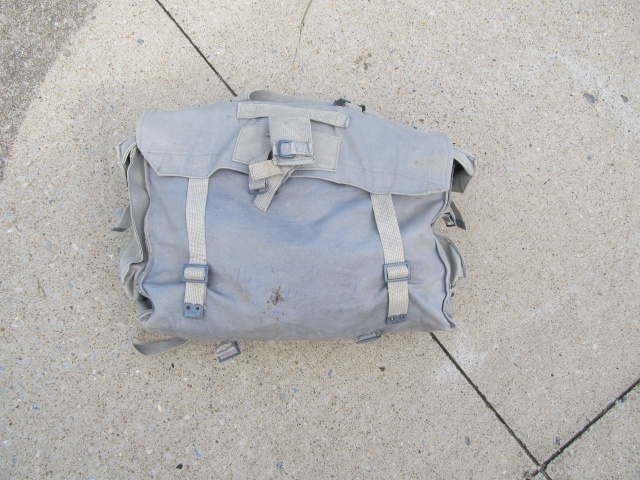 Inside the bag, a full set of what appears to be Iraqi field gear. I'll post in-depth pictures of the set, and hopefully the experts can tell me if it's worth taking up space in the house. On top, two items which I assume are some sort of pack roll. Any ideas? 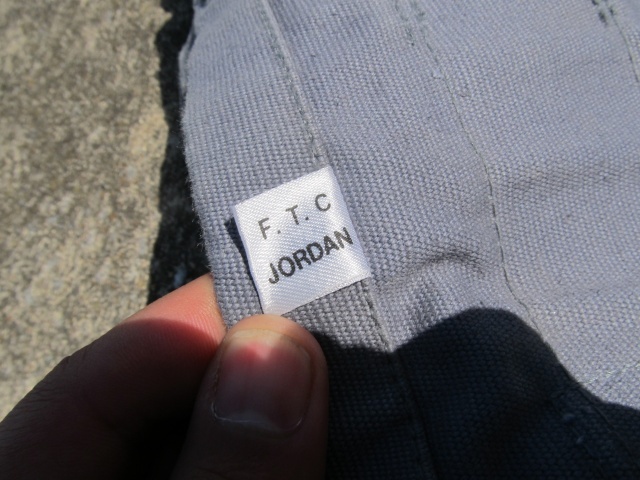 All of the blue-gray colored items carry the same tag; 'Made in Jordan'. 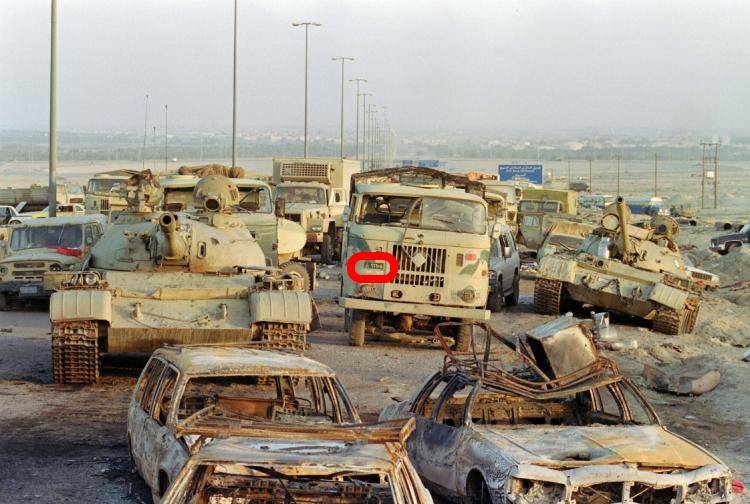 Initially concerning, online searches found the following information; "Throughout the 1980-88 Iran-Iraq war, Jordan supported Iraq politically and especially economically. Indeed, Jordan's port of Aqaba and its overland trucking routes became Iraq's main supply line throughout the eight years of that war. In return, Jordan received oil from Iraq at prices far below market value." 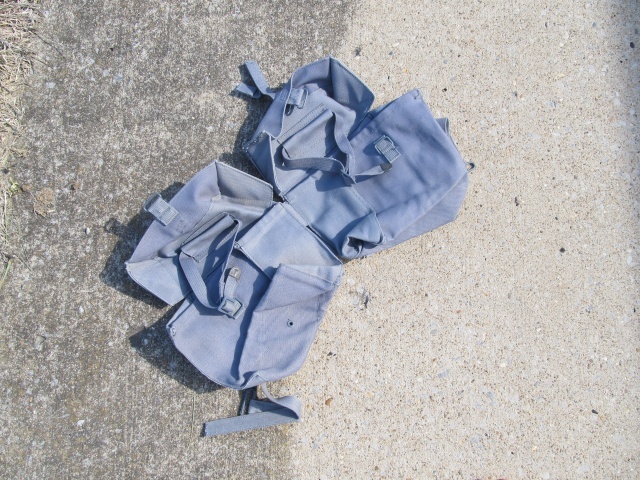 A second unidentified piece of gear, only one of these. Again marked F.T.C. Made in Jordan, with some very specific hardware. Now getting into some of the more interesting bits. The canteen which I thought was commercial was initially stuck in the carrier. Pulling back on the cover, I could see a large bright sticker on the side of the flask. Once I got it home, I confirmed a generally poor quality of construction and no other markings. The carrier is very, very cheaply made. The belt loop appears to be held on at each end by only a thin single row of stitching, and best of all check out those snaps - Luigi Parko! 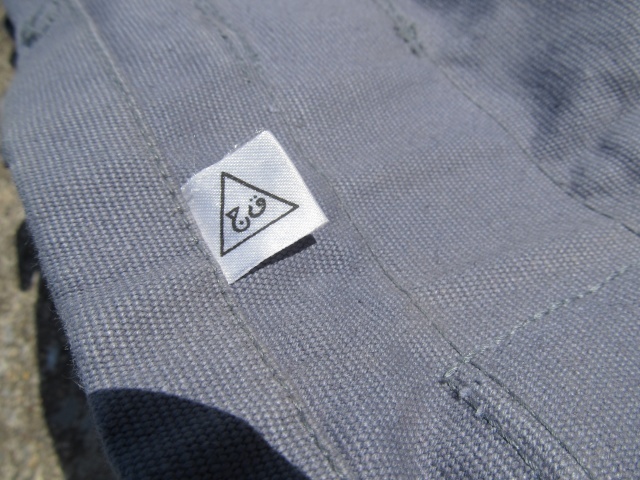 These snaps appear to belong on counterfeit jeans more than military field gear. 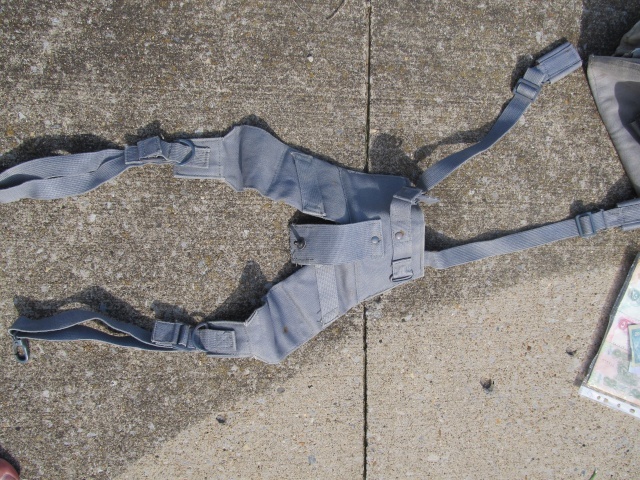 What *almost* looks like a set of M56 US-issue suspenders came next. What are the additional snaps for? 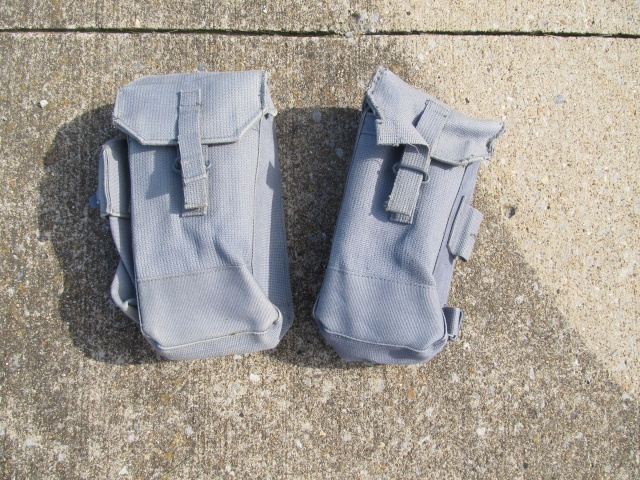 Two AK47 ammunition pouches were also included. 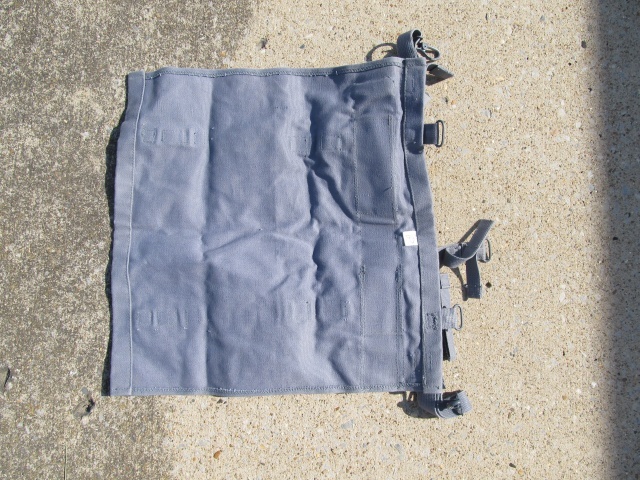 Stopping by an OEF-I vet's house, the comment made was that this was certainly Iraqi gear, and that the loop on the side of these pouches was actually for a spike bayonet. 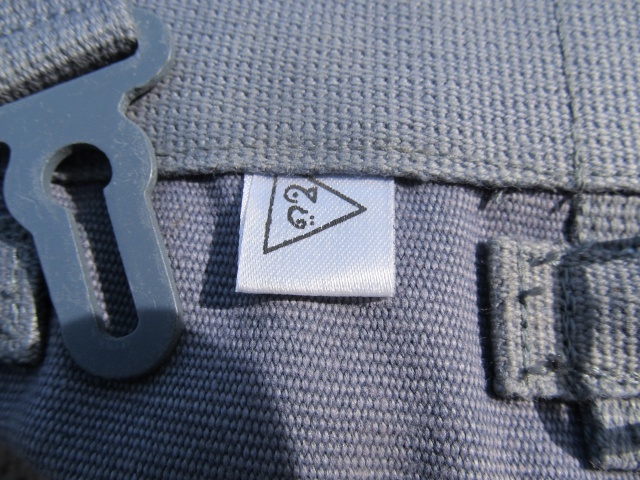 This particular detail makes no sense - any more info out there? 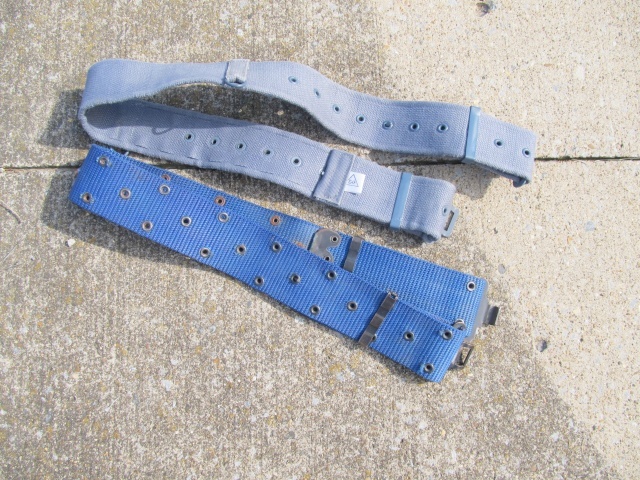 Two pistol belts, one US style and one British P37 pattern. Pretty sure the dark blue belt is confirmed Iraqi, with a similar ebay auction from a few months back described as: "Iraqi Air Force pistol belt. Deos not have the eagle buckle, just the typical metal buckle. Very dirty very worn. 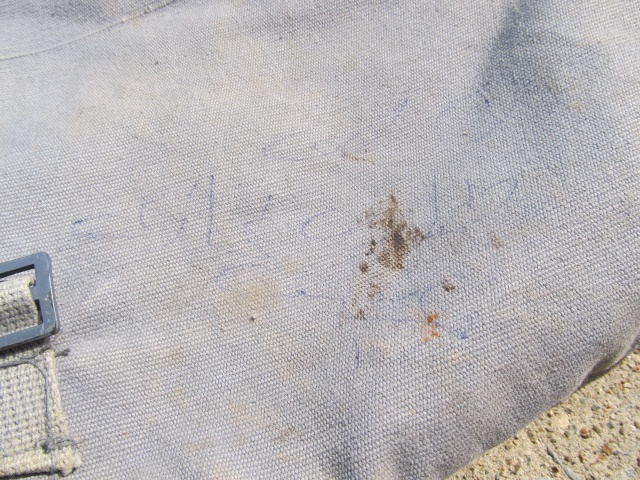 Found at Habaniyah Air Base in the Anbar Provence." And finally, one of the neatest parts. An Iraqi Army Building Sign. One of the local surplus stores has one of these, however theirs is small, blue, and came off of someone's house. 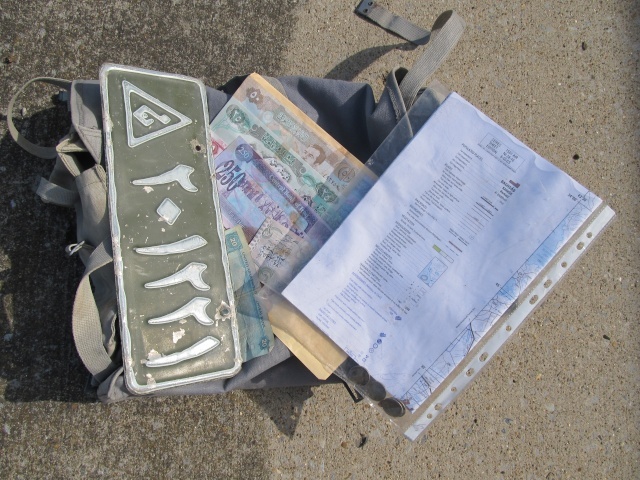 This sign is aluminum, OD green, and has the Iraqi Army property mark. 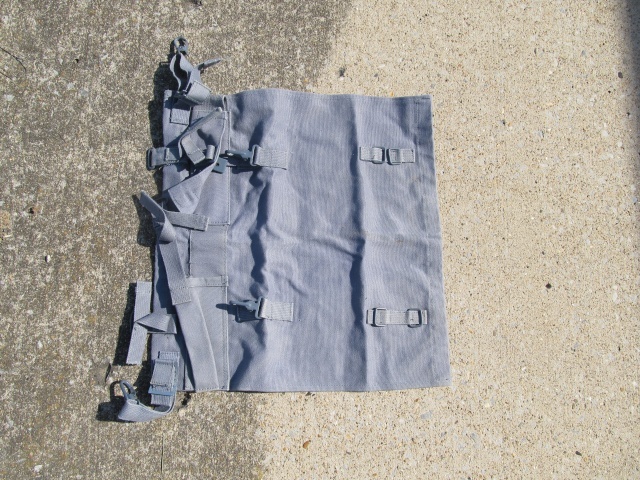 Speaking with another OEF-I vet, some guys were pulling these off buildings as souvenirs. Also included was a binder sleeve with a handful of dinars...just to top it off. 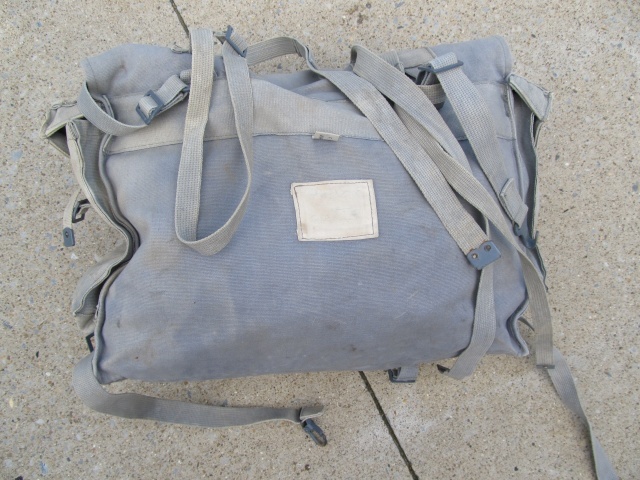 this is a copy of the british pattern 58 webbing (middle east militaries among others were using it), it seems you have the suspenders, kidney pouches, poncho roll, field pack, ammo pouches, belt. 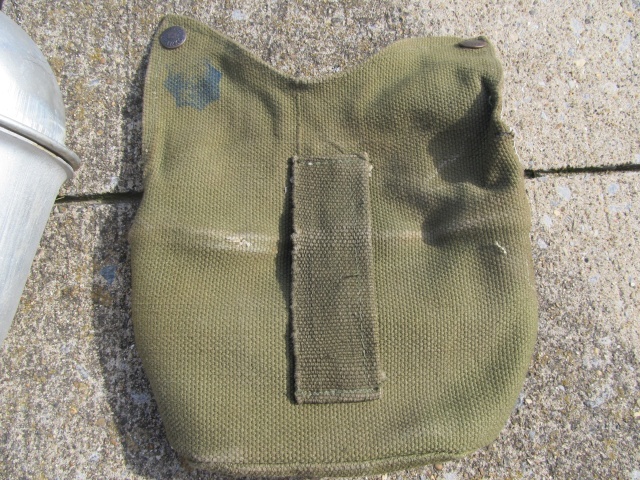 Canteen pouch seems to be a copy of the arly '44 webbing, these snaps are typical of iraqi manufacture (as well as afghan). You should search for a manual of the british one to assemble it. 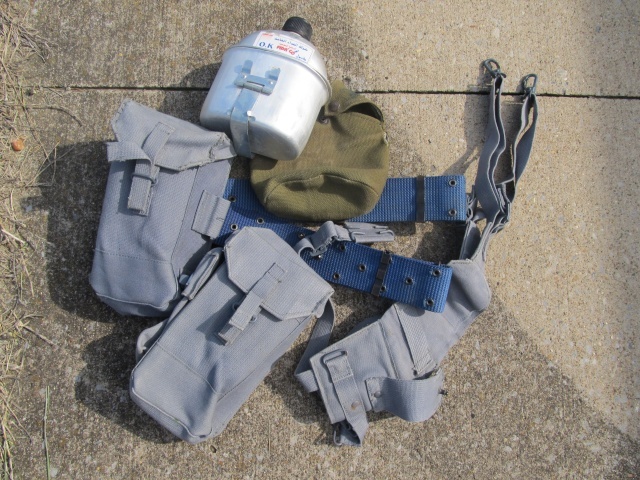 snaps on the suspenders are meant to secure a non folding entrenching tool, with handle down the spine. 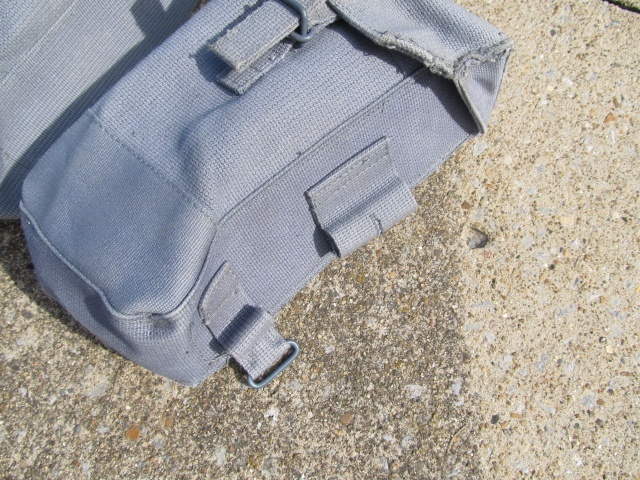 The ammunition pouch holds a bayonet + scabbard. i think it is a normal bayonet, not a spike one. I assumed you wanted to say they were found in Iraq by a vet ? If so, when you speak of "OEF-I", this mean Operation Enduring Freedom - I, in other word the first year of Afghan war (2001-2002) and not the Iraq war (= Operation Iraqi Freedom). Both conflicts are part of the GWOT (Global war on terrorism), but they are two different battles. squirrely wrote: And finally, one of the neatest parts. An Iraqi Army Building Sign. One of the local surplus stores has one of these, however theirs is small, blue, and came off of someone's house. 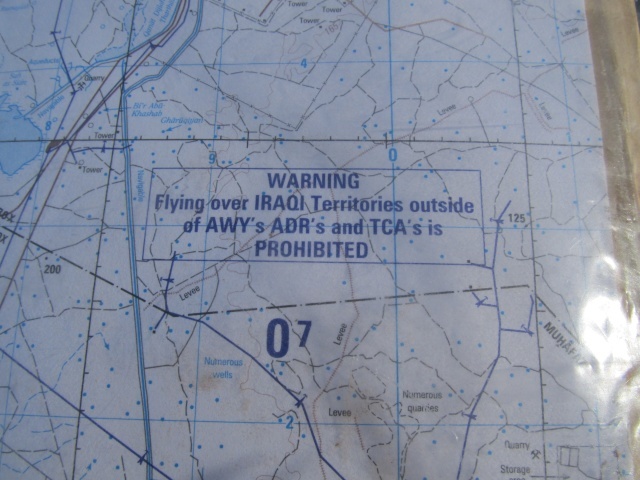 This sign is aluminum, OD green, and has the Iraqi Army property mark. 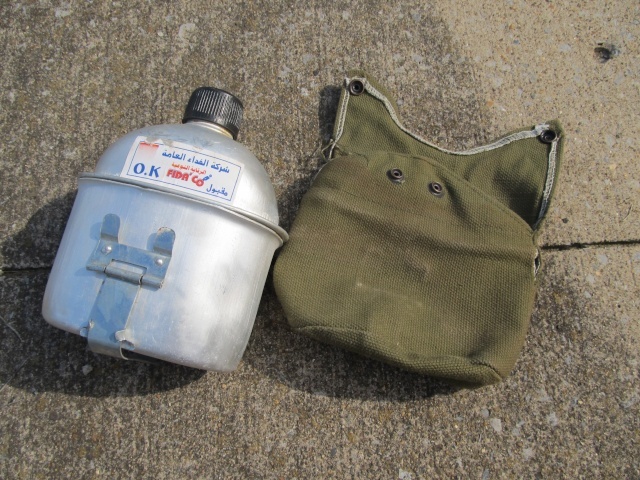 Speaking with another OEF-I vet, some guys were pulling these off buildings as souvenirs. Also included was a binder sleeve with a handful of dinars...just to top it off. 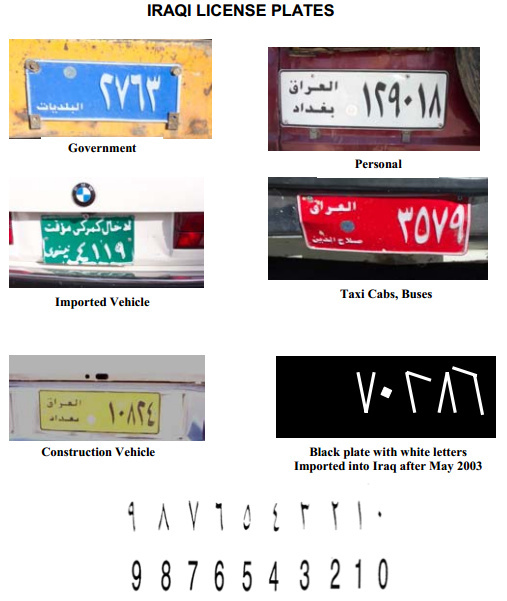 - imported vehicles (after 2003) has black license plate with white letters. 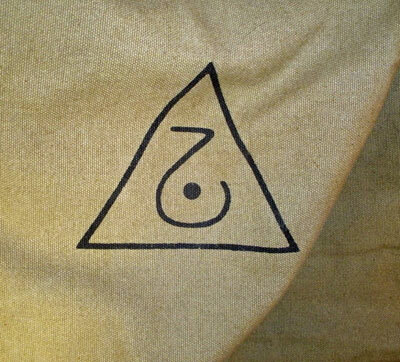 "The symbol, found on all Iraqi military equipment and aircraft, is a stylized letter JIM inside a triangle - the letter JIM is the first letter in the Arabic word for army, JAYSH"
VERY nice score, sir. 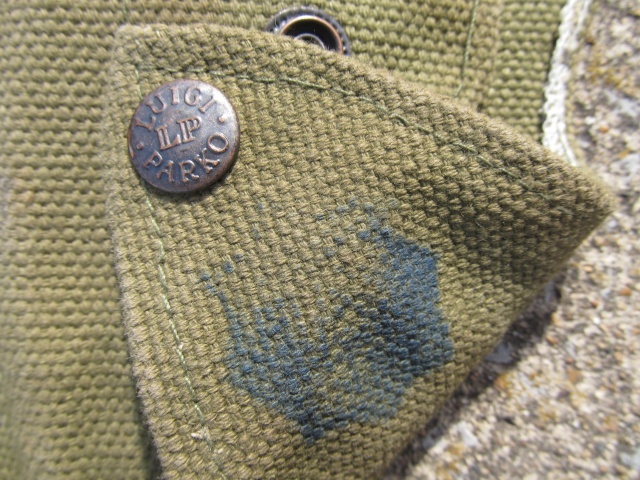 Your blue Iraqi Pattern 58 gear is indeed Air Force and much more uncommon than the standard green Army version. The license plate is great too. As P-E said, they were a popular item that soldiers brought back as a souvenir. Yes! I've spent so much effort collecting OEF I mistyped last night out of habit... Thank you so much for the information on the license plate! 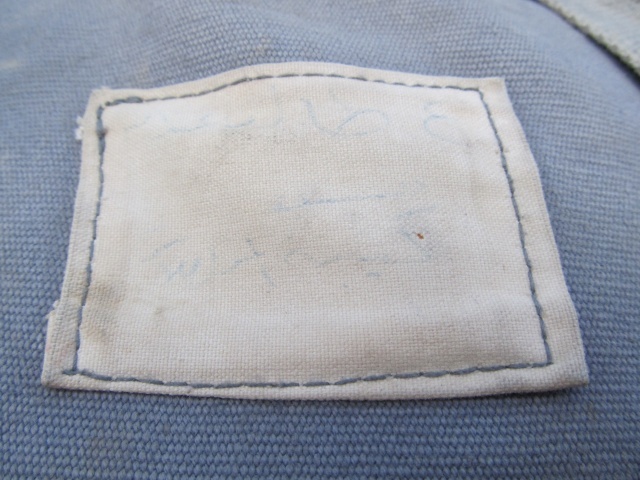 Can anyone make out what the name tag says? Nice flea market find....very cool.